"I want people to sit at that table and be sick with longing." Ten years after portraying the fictionalized version of bad boy chef Anthony Bourdain in the television comedy version of his memoir, Kitchen Confidential, actor Bradley Cooper returns to the culinary world on screen as another infamous cook, this time as the blandly named Adam Jones. Directed by veteran television producer John Wells, Burnt is an overly familiar but sumptuous looking picture filled with far too many expected story beats set around the fine dining scene of London. What derails Burnt, despite being boasting a fine cast and a script by the talented Steven Knight, is the humourless delivery of exposition devoid of any subtext or nuance. Characters constantly explain their problems, relationships, and blunt interactions rather inelegantly. Statements of love, betrayal, and anger are tossed off casually never building to any genuine moments of character development. Wells' direction and Knight's script show little in the way of grace or subtlety as Cooper's Jones reemerges into the limelight after a self-imposed exile. Partnering again with American Sniper co-star Sienna Miller, the pair's chemistry never quite lives up to their back and forth love/hate banter. Daniel Brühl does his best to elevate his thankless role of the restaurant manager/financier trying to reign in Jones. The likes of Uma Thurman, Emma Thompson, and Alicia Vikander show up to fill roles clearly beneath them in what amounts to extended cameos to layer Jones' troubled past of addiction and self-destruction. However, Matthew Rhys is thoroughly enjoyable in going broad to playing the rival chef to Jones. 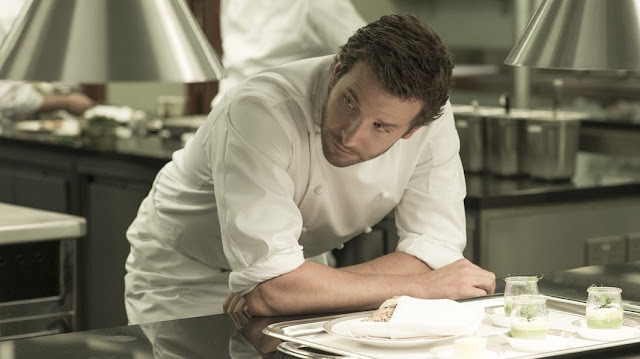 Burnt is subpar in construction, too often hiding behind Cooper's charms, as the film lacks much of any substance and overcompensates with well-edited and photographed montages of food and culinary sequences. Wells' film seems patched together from competing parts and ingredients never quite meshing or coming together and ultimately suffers from a feeling of a few too many cooks in its kitchen.